How much do you know about ballet? Not much? Some? A lot? Either way, the best way to start with ballet classes is learning through our Omaha School of Music and Dance blog posts! We have a bunch all about ballet and much more! You can see some of our other blogs later in this post but today we are going to be talking about some amazing ballet facts as well as how OSMD can provide the best lessons for you. One tutu takes about 90 hours to make – that’s almost 4 days! Tutus can cost up tp $3,000 to make! The first ballet dancers were all men! Pointe shoes are made by hand! Ballerinas can wear out 2-3 pairs of ballet shoes per week! Ballet used to be performed with operas. A male ballerina is called a “danseur” but in Italy are called “ballerino”. Male ballerinas lift about 1 and a half tons over the span of a performance! Dancers rub resin on their shoes to prevent slipping – string players use this too! Ballet began in France in 1661. A ballerina can carry 3 times her body weight on the tip of her big toe! The very first prima ballerina was bestowed upon Pierina Legnani. Lots of ballerinas used to be royalty! Ballerinas are just as strong as football players! Speaking of football players, some of them even take ballet to help them on the field! The ballerina buns require a combined 400 hours of styling before performance! Ballet spread from Italy to France when it began, but is very popular in Russia! King Louis XIV started the Royal Dance Academy to establish ballet standards! Early styles of ballet include Russian, French, and Italian ballet! The most famous style of ballet is Romantic – which is still practiced today! Ballet means “to dance, or jump about”! Ballet was always performed for celebrations – sometimes even weddings! 14,000 people see the ballet at least once a year! The ballerina’s costumes are the most important part of the the dance! Ballet changed when a dancer shortened her tutu above her ankles – making footwork much more important! Women weren’t allowed to dance in public until 1681, so they couldn’t join the ballet! Pointe shoes have to be broken in before they can be danced in! 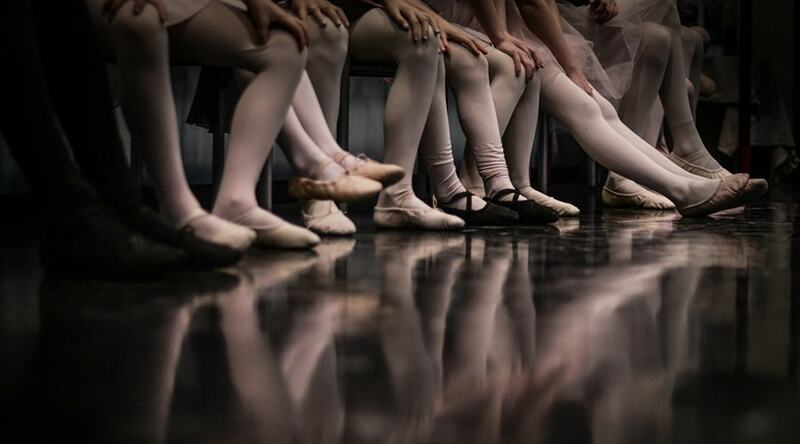 Pointe shoes can even sound really noisy before they’re broken in, making the ballerina’s steps super loud! Costumes for the ballet used to be weighted down on purpose – not light or airy! The most widely recognized or most famous ballet is The Nutcracker by Tchaikovsky! How did you do? Did you know some of these awesome facts or none at all? Either way, we learned some awesome stuff and now that we know a little bit more about ballet, we can talk about taking ballet classes here at Omaha School of Music and Dance! We have an array of wonderful classes, including group classes for all ages, and even private lessons for those of you who would like to further your ballet career! If you need any more convincing, check out our articles on private ballet lessons and ballet group classes! Ballet is a wonderful way to introduce your child into the world of dance. It is a very disciplined and stylized type of dance that can start them for a long career of dance and ballet or it can bring them into a world of other dances, like jazz, tap, hip-hop, and others! We offer all these styles here at OSMD, too, so we can accommodate for all your needs. If you want to start your child young, we have ballet classes for kids as young as 2 years old! And it doesn’t matter what level they are in ballet or dance, we can start them at any time and at any skill level. We have classes for teens, too, and even young adults! You can sign up today, or call us at 402-515-9639! You can even stop in for a tour with us at any time – we are located right off of 144th and Dodge! Sign up today! Previous Post Ba-Dum-Tss! Everything to Expect in Percussion Lessons Next Post The Positive Effects of Tumbling on Your Youngster!